This week I have been doing mainly two things. The first one is network-related and the second one is graphics so I have a fancy new screenshot. During the first half of the week I implemented entity interpolation which is an essential feature in all network games. More details on how I did this can be found in the post “Smoothing Stuff“. It is not perfect but works well enough that I can continue working on other features. Perhaps I will have to work on it a bit more towards the end when I can playtest for real. The other half I have been doing some cosmetic work combined with some game-logic things. The first plan was to have a screen/display, similar to ones in sports arenas, where I would render the game with different cinematic cameras. 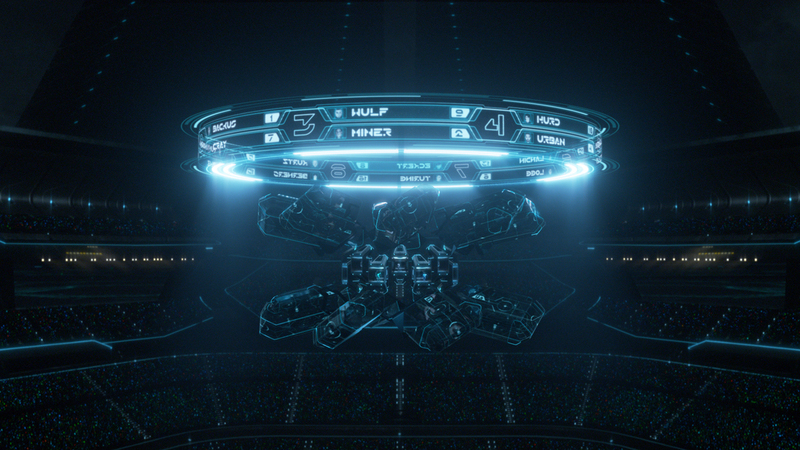 So I implemented this but then I started thinking of how the score and name of the players should be (the previous solution seen in earlier screenshots did not look good and was difficult to setup and update) when I stumbled upon this image, depicting the arena in Tron Legacy and that has been the main inspiration for the current version. Unfortunately using this scoreboard I could not keep the “jumbotron” so I decided to scrap that. I then got an idea from a friend that I could use the VLA to create an effect where the ball would look like a hologram projected by something in the middle of the scoreboard. While I think that could be perfect for the environment of the game I can’t figure out a way to do it which would look as good as I want it to so I put that on the backburner for now. 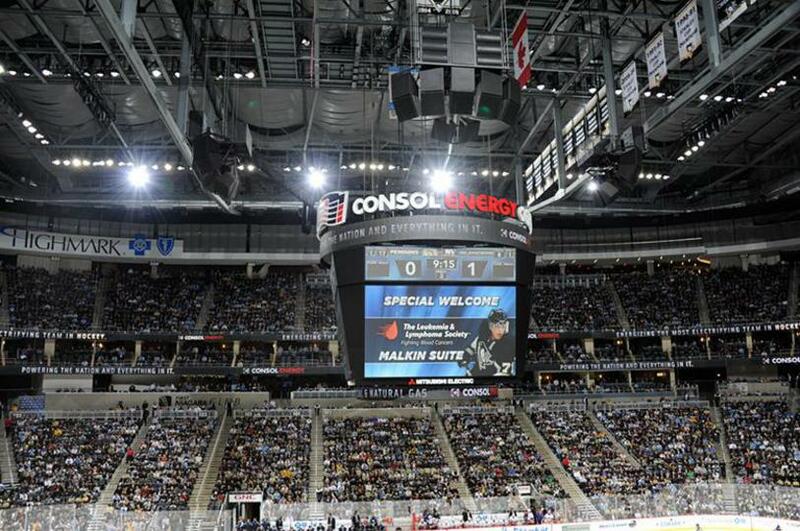 Instead I decided to make the entire scoreboard glow. I recon this adds a lot the visuals. I apologize for the terrible image placement in this post but the wordpress editor is abysmal when it comes to working with images. Also I finally updated the stable site so now that should work. The server application might crash in which case the game will not work but if you really want to test it you can just send me a message or leave a comment and I will fix it. You can find my mail on my website viktorhansson.net.